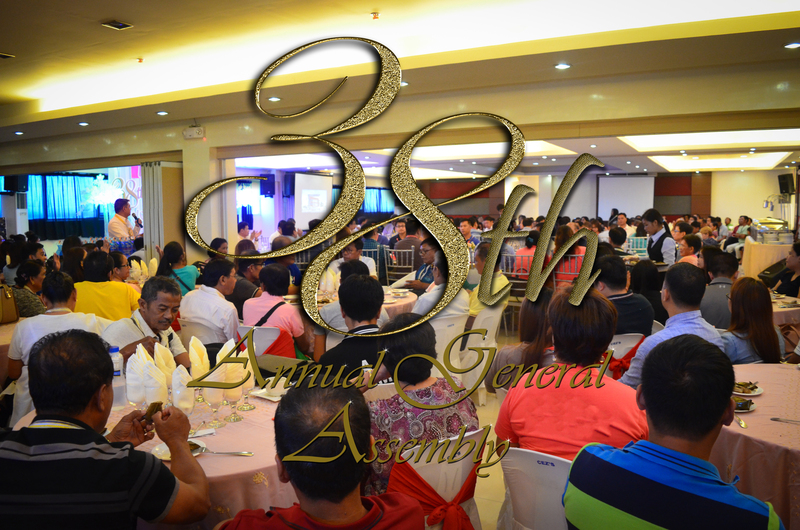 FICOBank successfully convened its 38th Annual General Assembly (AGA) Meeting on May 26, 2018, at the Conference Hall of FICOBank in Minante I, Cauayan City, Isabela. The AGA Meeting, with the theme “Creating Positive Impact on People’s Lives,” was participated by the official delegates of the 96 coop-stockholders, which represents 93.20 percent of the total membership of the Bank. The Board of Directors, Senior Management, department/office heads, managers, key personnel and invited guests also participated in this AGA Meeting. The Message and Invocation, by Ptr. Jose Ferdinand I. Tuason of the Metropolitan Bible Baptist Church, and the Opening Remarks of the Chairman of the Board of FICOBank, Mr. Erwin B. Tabucol, set the underlying tone of the 38th AGA Meeting. Arousing the interest of the participants and other spectators was the Keynote Speech of Ms. Lecira V. Juarez, the Managing Director of the APRACA-CENTRAB, which gave emphasis on this year’s theme. At the outset, the Keynote Speaker congratulated the representatives of the cooperative-stockholders, the Board of Directors and the employees for the success of FICOBank. She pointed out that the Bank’s growth of over Php300 million every year in its resources—after it had breached its first billion-peso mark in 2008—is an extraordinary feat. The core of her message was the “heartcount” and not the headcount. What should matter most is the number of hearts that truly cares not only for the people that “have more” (excluding the “have much”) but, more importantly, for those who “have just enough” or “have less” in life. She ended her speech by encouraging the Bank to continue its ways of growing with the people it serves—particularly, its clients, shareholders and employees. The awarding rites for the Top-Performing Operating Units and Managers that have demonstrated exemplary operational performance for CY 2017 took place afterward. The plaques of recognition were presented to the respective awardees by the Board Chairman, President/CEO Hubert E. Molina, EVP Emilio U. Rico Jr., AVP/Area Manager Zorina S. Aradanas and AVP/Area Manager Jimmy R. Parongan. During the plenary session, the Reading of the Minutes of Meeting of the Previous General Assembly was dispensed with, as copies of the same have been distributed during the registration of participants. Subsequently, the Bank’s President/CEO presented the Business Report of the Bank for CY 2017. He highlighted the outstanding results of operation and historic financial performance recorded by the Bank for the year that has just ended. He also gave a glimpse on FICOBank’s major plans and programs for the coming year. The said report was accepted by the august body, with appreciation. The exclusive powers of the GA to approve the amendments to the Bank’s Articles of Cooperation and By-Laws, and to elect the members of the Board of Directors and Election Committee were witnessed again in this AGA Meeting. The proposed amendments to the corporate papers of the Bank were appropriately dealt with and unanimously approved by the GA. After the votes have been cast by the delegates, with voting rights, the Chairman of the Election Committee (ELECOM), Mr. Gil B. Antonio Sr., declared the elected three regular members of the Board and three Election Committee members, who were all unopposed. Mr. Rogelio B. Benitez of Mallig Samahang Nayon Area Marketing Cooperative and Mr. Ernesto C. Gamboa of Bantug MPC were reelected as Directors, while Mr. Frederique M. Obedoza of Bugallon Proper MPC was the newly elected regular member of the Board. Dir. Erwin Tabucol remains as the Chairman of the Board while Dir. Pasencia B. Battung was elected by her fellow Directors as the new Vice Chairperson. On the other hand, Mr. Jose B. Simon was elected as the new Chairman of the ELECOM, with Mr. Antonio R. Guerrero and Mr. Rodolfo G. Mindoro as ELECOM members.